The theme of 24th edition of the efl/esl/ell blog carnival is Warmers, Fillers and 1st Week Activities. As in some parts of the world we are excited to meet our new students, I’m hoping that we will have some different activities to start the year other than the ones we love to use and This will be great because some people will also use our favourites. I’d like to thank everybody who shared their posts or wrote a new one just for this edition. The links are listed according to the submission date. You can click here and download the carnival. The first post of the carnival came from Annie Tsai. On her blog ‘Annie’s Corner’ she shares activities for grade 2 and grade 4. How do you spend your first session with kids? Annie is @crystalannie on twitter. Arjana Blazic is a teacher who always inspires me and she shares a great activity, Who am I? in First lesson, new students and no computer and to my surprise there is no web 2.0 involved in her activity. Larry Ferlazzo shares a full activity pack in Answers To “What Do You Do On The First Day Of School?” They are all wonderful. Dave Dodgson is also a great help with his fantastic posts. Introducing myself to new classes and are we all going to introduce ourselves? Won’t our students say anything? Check Dave’s second post New classes introducing themselves to me –and do you want to build positive relationships with young learners, then for the answer , read Dave’s guest post for Prestwick House. David Deubelbeiss shares guessing games with us but you will find loads of ideas at EFLclassroom 2.0 to motivate yourself throughout the year. Sheer inspiration! Sultan Zeydan shares fun Speaking Activities on her blog. There are great three activities to be used all year round. 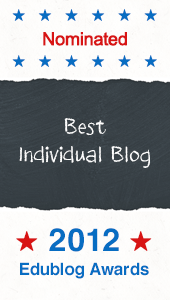 Sabrina De Vita, the writer of Sabrina’s Weblog , shares a fun activity she has done with her clas: First Class: All About Them Lesson Plan and we have another post from Sabrina, Clowning on the first class day!. She reminds us that feeling like a child is graet and we should never lose that innocence. Janet Bianchini, one of the most hardworking and creative person I met on blogosphere, shares two posts. Introductions and Icebreakers. Part 1 Images and Introduction and Icebreakers. Part 2 Using Web 2.0 Tools. Plus she also shares a wallwisher where she links to more ideas. Carla Arena is full of enthusiasm and energy, the post she shares is also very energetic, Icebreakers, not Sleeping pills on her fabulous blog Collablogatorium. 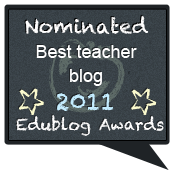 For the blog carnival, we have a post from a very cute blog, Elt Candy Land. Leandra Dias shares an activity to go with Present Simple and Present Continous, Singing the difference between present simple and present continous. Vicky Saumell shares pronunciation related tools. Pronunciation is usually a neglected point in efl classrooms but needs to be taken care of so from the very beginning of the new term, it will be great to bookmark the tools Vicky shares on her blog Educational technology in ELT: Pronunciation related tools. You will find great warmers and fillers on The TESOL Zone. Mark Chapman’s post Warmers, Fillers and Coolers is a great post to bookmark. Wanna fish for back-to-school ideas? Then Where to fish for back-to-school ideas from B’s life with English is a great post to read. You will find useful links for very cool ideas. This post is from Consultants-E. They asked their PLN ‘What tips do you have for those beginning the school year to make this one a great year?’ and you will find some answers from tweets and facebook converstations. Tips for Beginning the School Year Right! Karenne Sylvester invites us to her wonderful blog to read Speed Dating as Vocabulary Review. A fun and a very useful activity! In Drawing Introductions, Mike Harrison describes an activity that can be used in the first lesson of the year, reminding us that the best lessons are the ones which involve humour. Cecilia comes to join us with a box of chocolate on the first day of our classes. Her two posts, A Post about firsts –First Impressions and first activities on the first day of the semester and Bonus Round- More Activities for the First day of Class are just fantastic with loads of ideas. Tyson Seburn’s post ‘The 1st week around the corner’ reminds us that ‘’the material used in the lesson itself be generated by students about themselves in the first week’’. All for one and fun for all is a fantastic post full of ice breakers, energizers, warmers and fillers written by Marcia Lima. Dany Lyra points out a very important thing, building a sense of community. Dany shares a movie segment for a warm up, Spanish Apartment- Movie Activity – Cultural Differences – Movie Activity – Ice-Breaker. From Marijana’s blog, we have Warmers and Fillers – #Goal 2 – “Contribute to a Blog carnival”. Marijana Smolcec not only contributes to her first carnival but also accomplishes her first goal of #30 goals challenge. 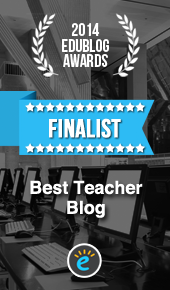 For the blog carnival A Journey in TEFL had the honour to host three great teachers from Turkey who haven’t started blogging yet but very eager to share and collaborate. Don’t forget to contribute to the next carnivals. The following edition will be hosted by Berni Wall in November and Let Larry Ferlazzo know if you might be interested in hosting future editions. 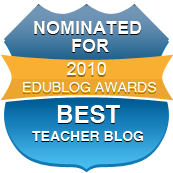 You can read all the previous editions of the ESL/EFL/ELL Blog Carnival here. Thank you so much! So many awesome resources to share! It’ll take a month to digest each but worth it! Thanks for hosting the first blog carnival I’ve participated in. Quite the number of blogs and ideas therein! Wow! What a wonderful collection of ideas. The timing is perfect since we start back to school today here in Japan. Thanks for collecting and sharing these great ideas, Eva! What an impressive carnival! Great job! Eva – Thanks for putting together the carnival. A good choice of theme too. What a treasure!!! My new school year starts in March so I’ll have time to collect brilliant ideas! Thanks so much Eva for an amazing collection of wonderful ideas. This post serves as an invaluable resource, and is one for bookmarking immediately!! Forgot to send you my link… oh well, maybe next carnival! Eva! Thanks for hosting this wonderful carnival, just like Marisa I’ll definitely have plenty of ideas to choose from in March. This is my first ride on the blog carnival and I’m so pleased to be hosted by you. Thank you for hosting us, the bloggers and the nice introductions for the posts. I’m sure teachers will love the ideas and benefit from the great activities in there. Wishing you all a nice academic year full of joy, success and new ideas. Thanks Eva! I missed the deadline to submit, but you inspired me to do a condensed version on a post here: http://bit.ly/q1OJdZ Thanks for the inspiration. Thanks so much for organising this carnival and for having me! So full of super teachers and ideas! Thanks so much for your wonderful words. I really enjoyed your blog. Those were some great ideas to use in the classroom for the first week activities. I liked how you had other teachers include their ideas as well. Thank you for adding my post, Eva. I am honoured to be in such great company. A fantastic list of resources and activities. Luckily, my school doesn’t start until 19th September, so I’ll have enough time to go through at least some of them. There are enough resources here to last me the whole semester and who says all these lovely activities have to be done in the first class only? You did a great job of putting all these posts together. I know a lot of hard work went into this. Thank you so much. 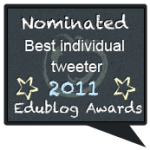 Thanks for compiling this fantastic resource for teachers. I’ll share it around. Eva, I am an EDM310 student at the University of South Alabama. This is a great post and I really enjoyed reading it! These are some great ideas! Thank you. Thanks for putting this together! I’ve got intensive classes starting in January. The first day is always the most awkward, but now I’ve got lots of ideas and don’t have to play the TP game again.